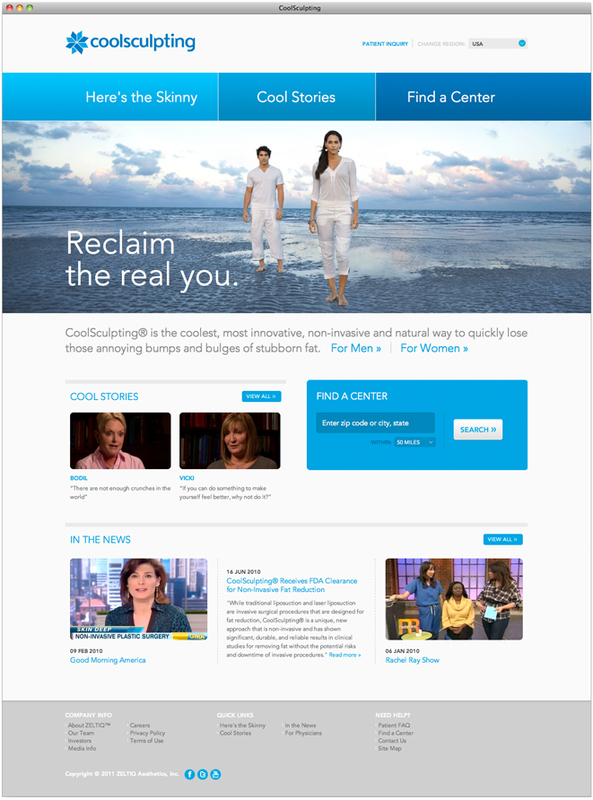 Barbarian Group partnered with Cutwater to relaunch the Coolsculpting brand and website. 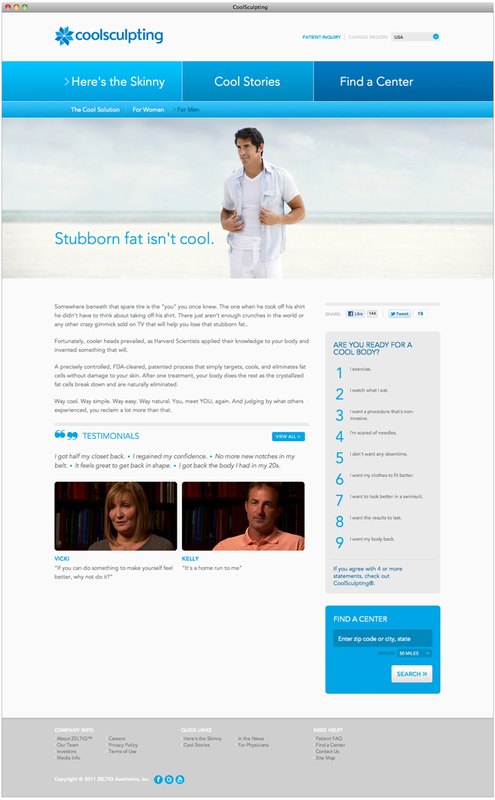 Coolsculpting uses an innovative technique which freezes “stubborn” fat cells through a non-invasive process. Gaining ground in the media and opening more offices around the world, the company wanted to rebrand themselves to be more consumer-friendly.